In Colorado, there are small flocks of Juncos everywhere. I wanted to capture a moment when they are sky bound. This piece was constructed on hand painted commercially printed fabric. 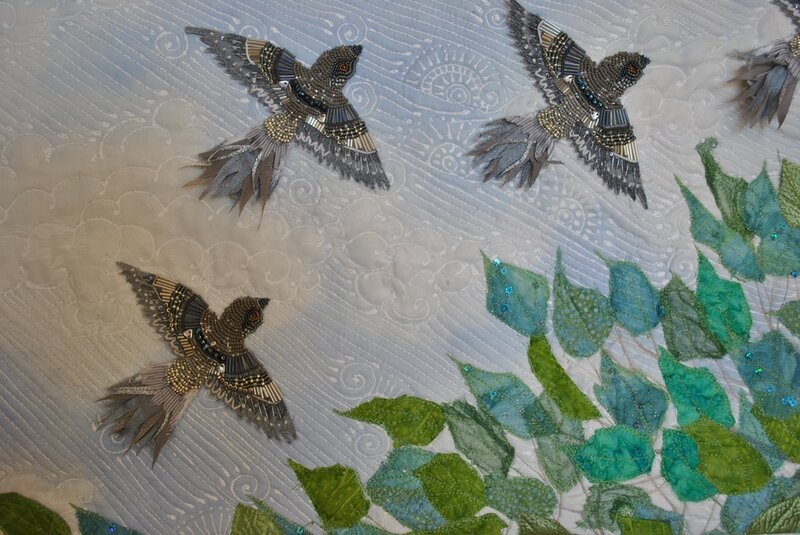 The leaves are raw edge applique silk, chiffon, and cotton fabric. The tree is raw edge fused and machine embroidered. 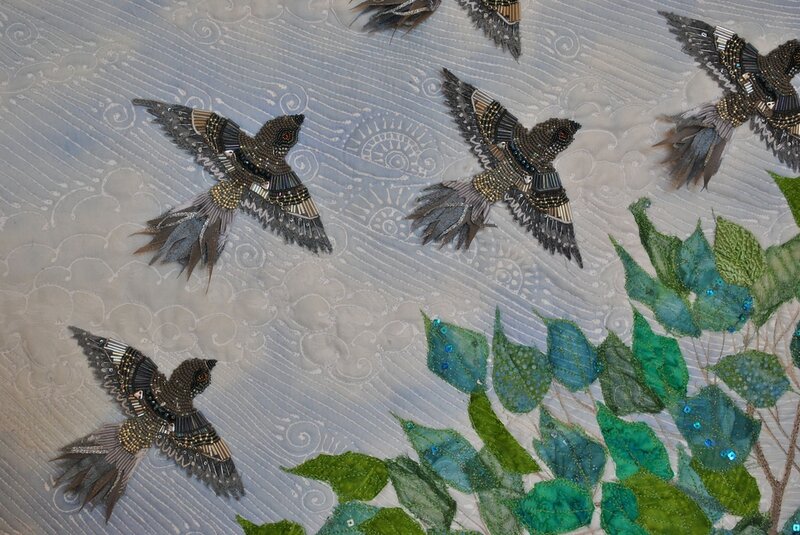 The birds are hand embellished, beaded, and embroidered.